Former NBA commissioner David Stern tries to connect with Gary Bettman by phone about once a week. Even he has a tough time keeping track of the NHL commissioner's schedule. David Stern tries to connect with Gary Bettman by phone about once a week. Even he has a tough time keeping track of the NHL commissioner's schedule. "I called him one day and he was in Helsinki," Stern said. "The next day he was someplace else. If the two men happen to speak Monday, Bettman will be in Toronto getting ready for his induction into the Hockey Hall of Fame. "I'm like a proud uncle," Stern, commissioner of the NBA from 1984 to 2014, said in a recent phone interview with The Canadian Press. "It's wonderful, he deserves it." Stern, who had practised law with Bettman earlier in their careers, joked that he kidnapped his future protege on the George Washington Bridge in New York in 1981 so he could join him in the NBA's league office. "He was a young, energetic, hard-working, very smart lawyer," Stern recalled of hiring Bettman. "He didn't consider there to be any limitations of what he could learn or what he could do. "You could only be constructive with Gary because you could never say anything about his work ethic or anything that he did. He always took on too much." Bettman tackled collective bargaining, NBA Entertainment and the sport's globalization for Stern — all reasons the NHL eventually came calling when it was looking for a new frontman in 1993. "I was proud when he was selected as commissioner," said Stern, 76. "I was pained when people take all of these shots at him. "I'm pained, but not worried, because he has a way of rebounding." Those shots, however, haven't really stopped coming during Bettman's 25-year tenure. The NHL has grown from 24 to 31 teams under his watch, with annual revenue ballooning to around $5 billion US. The Vegas Golden Knights paid $500 million to enter the league last season and a 32nd franchise that looks set to be awarded to Seattle as early as next month will pony up $650 million. But Bettman has also overseen three lockouts, including one that wiped out the entire 2004-05 season, with another work stoppage potentially on the way in either 2020 or 2022. Olympic participation and how the league has dealt with concussions have been among some of the other thorny issues. Being an American and a so-called "basketball guy," his hiring was heavily criticized in Canada — even more so after the Quebec Nordiques and Winnipeg Jets relocated to U.S. cities in the mid-1990s — but Stern was confident from the start the move would be a success. 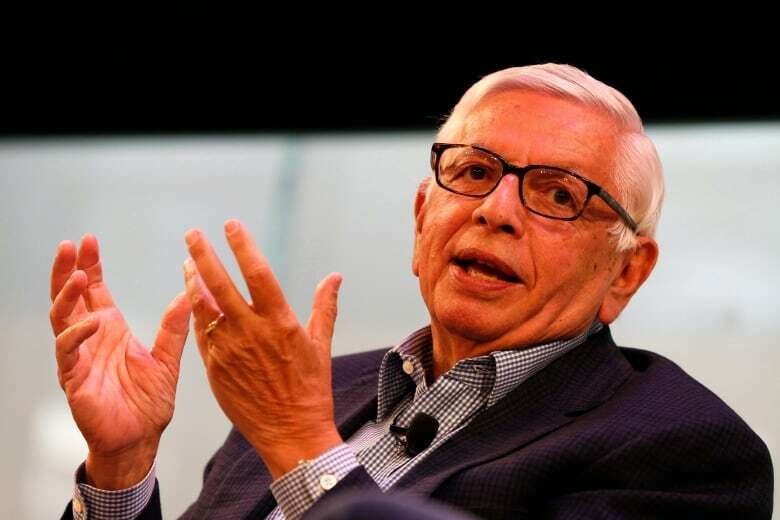 "No one quite understood his skillset and what he was going to bring," Stern said. "He would work his way through every single problem. "If at first you don't succeed just keep banging against that wall. The wall collapses with Gary. That's just the way it is." Bettman, who helped bring the NHL back to Winnipeg in 2011, is among six inductees in this year's Hall of Fame class along with superstar goalie Martin Brodeur, diminutive winger Martin St. Louis, league trailblazer Willie O'Ree, Canadian women's star Jayna Hefford and Russian great Alexander Yakushev. Bettman and O'Ree — the NHL's first black player — are going into the Hall in the builders category, while the other four enter in the players category. "Gary made a huge impact in our lives and everybody's lives in the NHL community," said Brodeur, who was affected by all three lockouts during Bettman's tenure. "There were tough times with work stoppages and all that, but at the end of the day he made us live a good life. "He ran this NHL business as good as it could be run for the past 25 years." 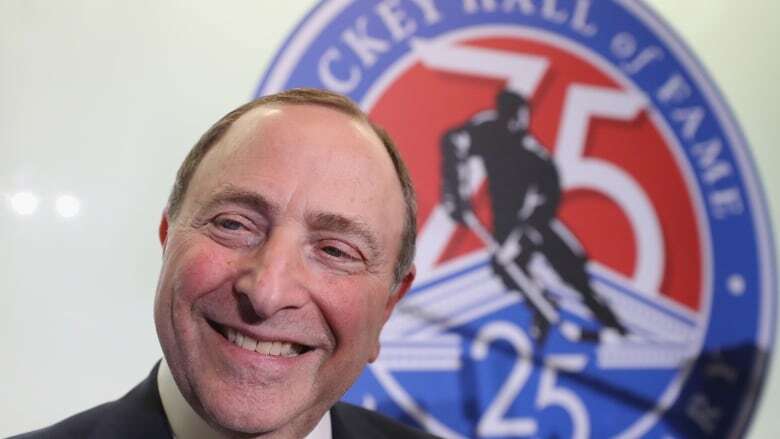 The 66-year-old Bettman said Friday after receiving his Hall of Fame ring that Stern prepared him for the rigours that come with being a commissioner. "David was a mentor, short and simple," he said. "He taught me the ropes of how to conduct yourself when you're trying to run a sports league." A more recent criticism — one not directed at Bettman, but rather the Hall's selection committee — has been that an active commissioner shouldn't be inducted while still in the job, although former NHL presidents Clarence Campbell and John Ziegler were both enshrined during their respective tenures. "It's an honour beyond comprehension," Bettman said of entering the Hall. "I'm still a work in progress." He also still gets booed by fans nearly anywhere he goes — the usual treatment came raining down from before Friday's Hall of Fame game in Toronto — but has come to embrace it as the years have passed. Stern said Bettman had lots of time to prepare. "At the draft, the fans booed me," Stern said with a laugh of his 30-year run as NBA commissioner. "He knew what it was like." Inducted into Basketball Hall of Fame in 2014, Stern added that treatment simply comes with the territory. "Oh, welcome to the club," he continued. "Because [Bettman is] so protective of the game, he steps in front of the speeding trains that have to be stopped. "He's always willing to do what it takes for the cause. I'm familiar with the syndrome."